Intravenous urography is performed to exclude upper renal tract abnormalities . It is important to take films with the patient both in the prone and supine position. A filling defect is only visible when the lesion is surrounded by opaque urine. Hence, carcinoma of the posterior wall of the bladder is best seen with the patient in the supine position, and carcinoma of the anterior wall with the patient in prone position. Oblique views of the bladder may also be helpful in the detection and localization of lesions . 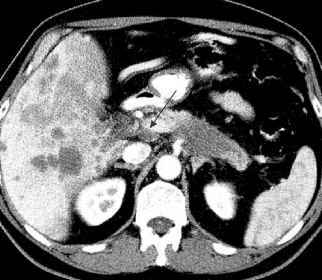 If the tumor is located near the ureteral orifice, there may be incomplete or even complete obstruction, subsequent dilatation of the urinary tract or even decreased excretion of the kidney on that side . When one non-excretory kidney is found in the presence of bladder cancer, an antegrade pyelogram can be helpful. It is important to distinguish between complete obstruction due to the tumor in the bladder itself and tumor extension up into the ureter . In Table 2 the TNM system is correlated with ultrasound (US) findings. Non-invasive trans-abdominal ultrasound is seldom used today because it is inaccurate for the assessment of tumor spread beyond the bladder wall. Also, visualization of the tumor is limited in obese patients, and by air containing bowel loops adjacent to the bladder wall. Further problems are related to inaccessibility of US to accurately visualize tumors arising in the region of the bladder neck and to the limitations in evaluating lymph node metastasis .